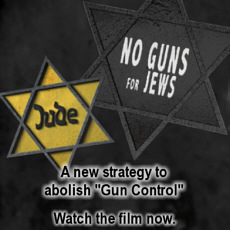 Be sure you have read the groundbreaking "Why Jews Hate Guns"
Note - (June 2018) IMPORTANT: Our original JPFO store had to cease functioning due to a server code update that could no longer support it. The new store will it is hoped allow reasonable continuity - https://store.jpfo.org/. In case of any teething issues and if you need to contact us about problems, you can use our store backup contact form . which will send to our store email address.Old store links should redirect to relevant pages on the new. The legalization of marijuana is an interesting issue right now. Federally, it's considered an illegal drug, something you aren't supposed to get even with a prescription. The reality is a bit murkier. Many states have legalized it for medical use, and some have gone so far as to approve it for recreational use. However, gun owners have been caught in a tough spot in this whole thing. You see, some states have required licensed gun owners to give up their guns due to their status as medical marijuana users. Legally, they can do this. After all, federal law prohibits people who use federally prohibited drugs from owning guns. Mind you, these states have no issue ignoring the federal law that prohibits them in the first place, but these states also dislike guns. As a result, gun owners get nasty letters telling them to cough up their firearms. The bill is laudable but - it would appear it may probably not have any traction. 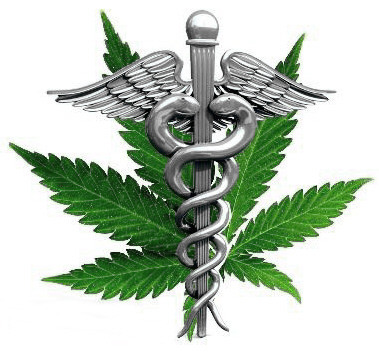 This is something much needed as medical marijuana has been proven to have significant therapeutic value and should not be treated any differently from regular medications. To have one's gun possession forbidden and thus a means of self defense, simply because of taking a justifiably beneficial treatment, is well overdue for being reversed. © 2019 JPFO All rights reserved. Second Amendment Sanctuaries on the Rise: This is perhaps one effective way to counter infringements against the 2A as more and more efforts to increase 'gun-control' are ongoing. OK - Bill For School District Teacher CCW, Moves to Full Senate: What a contrast of attitude compared with those states that demonstrate total paranoia when it comes to having armed staff in a school. 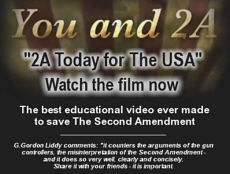 Fashionable Bigotry Against Gun Owners 2019: Once again the subject of anti-gun media bias is discussed, along with the almost intense gun hatred expressed by so many left politicians. JPFO alerts? Our alerts contain valuable and educational material …… check back and see the many subjects we cover. From that page you can sign up for free email alerts - (top of page). Discover the " 10 Commandments of Self Defense" (2 CD set).